These recipes are from various published sources. Most of them I have enhanced a little bit, but not so much that I would call them "originals". Some of the names have been changed. I also make a bunch of original creations. 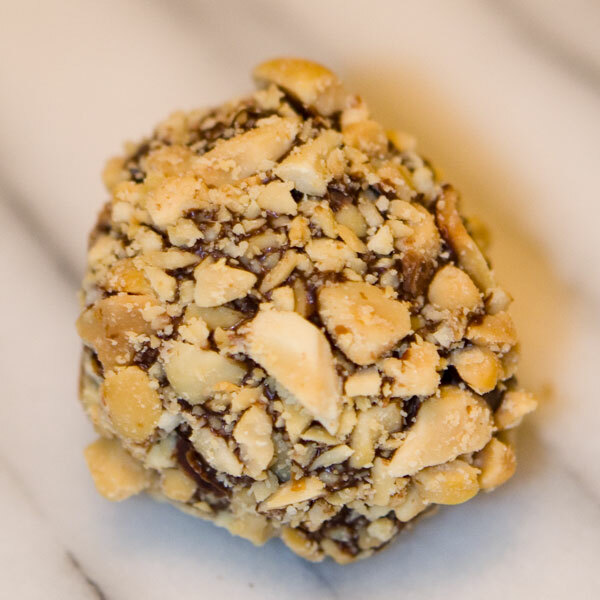 Sweet yellow curry and coconut flavors emerge from a soft buttery center enrobed in rich dark chocolate. 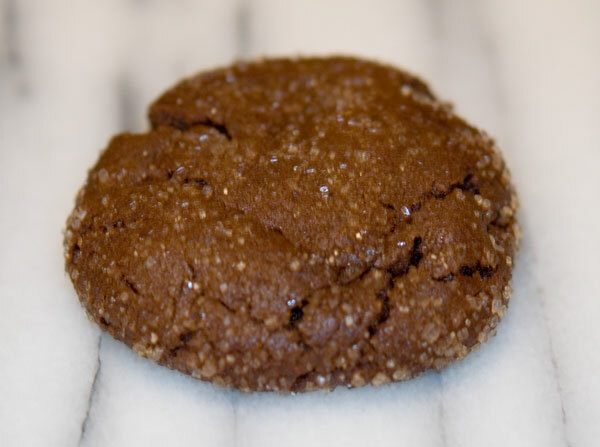 We found these incredibly rich ginger spice cookies in a big book full of chocolate goodness. We upgraded a few ingredients to take them to the next level of awesome. Chewy and ginger-bread like, featuring fresh ginger and 68% dark chocolate. 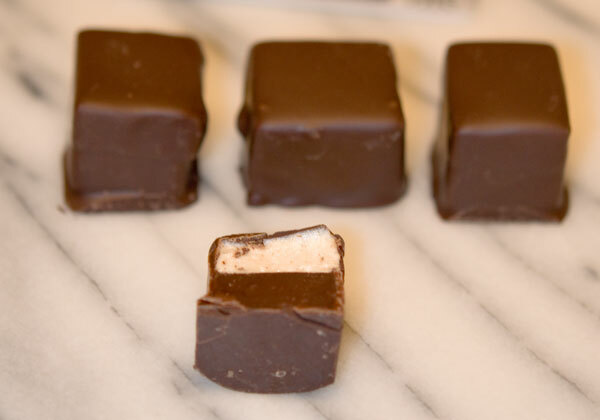 Home-made cinnamon marshmallow layered with a rich dark chocolate ganache. This recipe was one of the first we ever made and we haven't changed a thing ... it was perfect, right off the page. Peanut butter & milk chocolate center, spiced with cayenne pepper with candy crunch (essentially lollipop crumbs) sprinkled in. Rolled in roasted, salted peanuts. These have a surprise finish. As the peanut butter clears away, the gentle heat of the pepper appears. 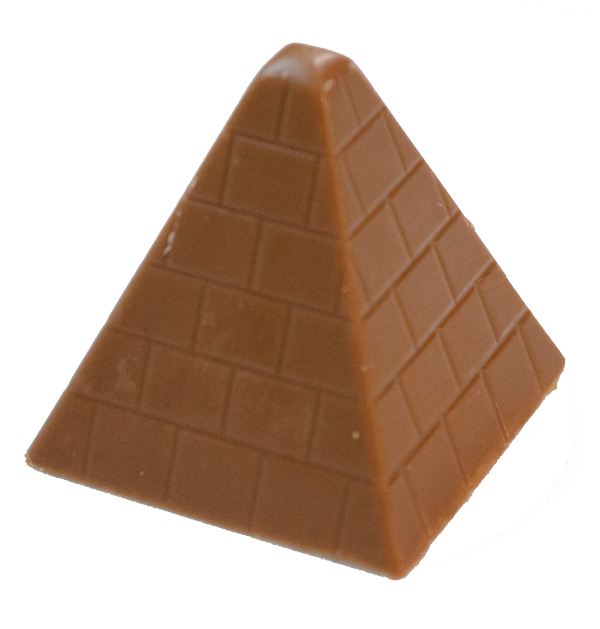 They're not super spicy, but if you order your Indian or Chinese food "mild", you might want a pyramid instead. This is your basic peanut butter cup . . . but in a shape that's more fun to look at and, admitedly, a bit of a challenge to eat. 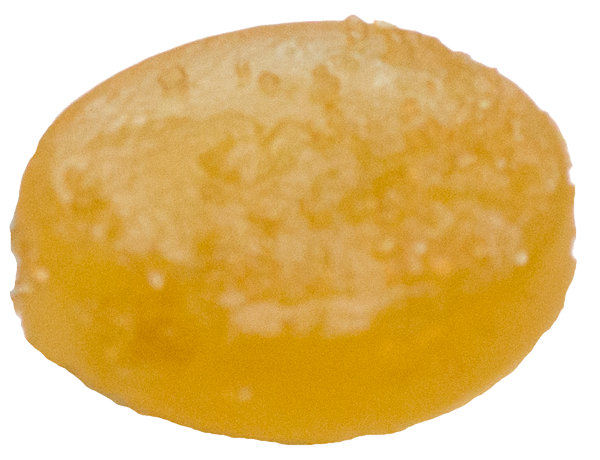 Your basic gummi candy -- such as a gummi bear -- but round and mildly flavored with natural orange oil.